Are You Sure You Are Ready For The New 2018 Toyota Camry? The Toyota Camry is one of the oldest models of Toyota. With almost three decades, it’s even hard to talk about it since it always seems something is missing. The Toyota Camry is a remarkable car. After all, it was the best-selling car in the United States for 15 years in a row. This isn’t an easy achievement. So, Toyota wants to make sure that they continue to have one of the most successful models in the United Stated generating good sales. So, not surprisingly, we are about to see the new 2018 Toyota Camry. The new 2018 Toyota Camry should have a complete makeover, both on the outside as well as on the inside. So, let’s take a look at what you can expect. This is, without any question, one of the most important redesigns Toyota has ever made. And just to give you an idea of how careful they are being, Toyota designers created a custom mid-century-modern font just for the Camry name. One of the things that we have been noticing on the latest models launched by Toyota is that they are trying to go more emotional and not so boring. Even though boring usually means reliable, it also means that a car needs to be appealing. And Toyota is working on that. The 2018 Toyota Camry new grille will depend on which model you decide to get. Yes, this is definitely a surprise. While the Standard versions like the LE come with a ribbed and outstretched affair, the Sportier SE and XSE get a mesh treatment, which gives them a more attractive look. 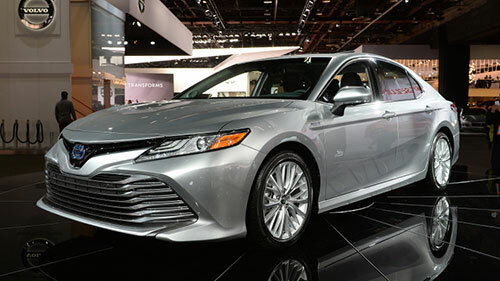 Between all the different versions of the car, hybrids included, you can get at least 10 variants of the new 2018 Toyota Camry. So, you can be sure you’re going to love at least one of them. 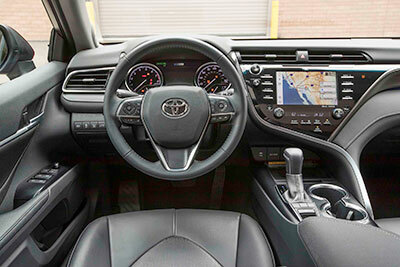 The 2018 Toyota Camry interior is simply premium, exclusive, and tasteful. The soft plastics mixed with plenty of intuitive technology simply looks great. 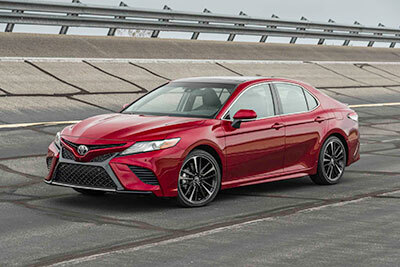 Plus, Toyota was careful enough to increase visibility, which was one problem with the current version of the Camry. One of the things that we really don’t like about Toyota, and not particularly about this model, is the fact that they refuse to include both the Android Auto and the Apple CarPay. Instead, they just keep pushing their own infotainment system. However, Toyota should start to think more about their customers who want to have the choice to use what they want. 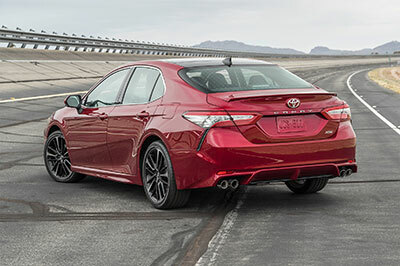 The 2018 Toyota Camry also includes the Toyota Safety Sense P in the standard models, which includes features like automatic high beams, pre-collision braking, and adaptive cruise control. Under the hood, you will be able to choose between three different engines, just like what happened with the previous generation of the Camry. So, you can expect to see a 3.5-liter V6 engine which is capable of producing 301 of horsepower and a hybrid. On the 2018 Toyota Camry XSEs models, you will get a 2.5-liter engine that is capable of producing 206 of horsepower and 186 of torque. For the highest trim – the LE version, you can expect to enjoy the power of 203 of horsepower and 184 of torque. All non-hybrid models should come with an 8-speed automatic gearbox. If you liked what you read about the new 2018 Toyota Camry, you’ll be glad to know that it will go on sale during this month. In what relates to the price, the 2018 Toyota Camry standard model starts at $23,495. Make sure to read more about Toyota cars.